ForeFlight Mobile for the iPad is already one of the most-used aviation apps in the world, but the company wants to make it better by testing how pilots really use the software in the cockpit. To that end, ForeFlight will record students, instructors and participating pilots flying simulators and real aircraft at the Redbird Skyport in San Marcos, Texas. The studies will offer insights to drive app development based on observed pilot needs. New features and hardware can then be tested in the same environment for immediate feedback. 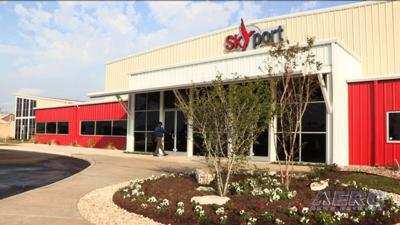 “We created the Skyport as an open laboratory for everybody to use,” says Jerry Gregoire, Chairman of Redbird Flight Simulations who operates the Skyport. The week of December 3-7 ForeFlight’s development team will converge on the Skyport for their first annual Code and Fly Hack Week, where they will work out new features and jump in the sim to test them. The developers will also hold open lunches during the week where any pilots in the area can join them to meet the team or get help with ForeFlight Mobile. “The large conference room and access to aircraft and training make it a great place to host a week of coding and flying,” says ForeFlight Principle Tyson Weils. “Maybe we’ll hack an extra rating onto our certificates, too. Additionally, Redbird and ForeFlight have partnered on a broader plan for integrating ForeFlight into pilot training and Redbird’s Migration curriculum, a simulation-centric flight-training program now in use in the Skyport’s Part 141 flight school. ForeFlight will explore additional functions to make the iPad a better tool for training from preflight through postflight, as well as a cockpit resource. This effort is aided by Redbird’s Cygnus hardware, which lets an iPad used in a Redbird simulator, or at a desktop simulation, behave exactly as it would in flight.